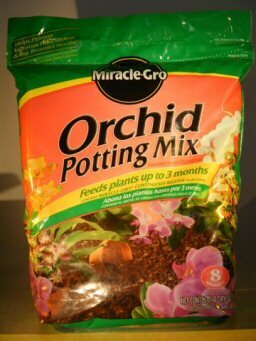 Miracle-Gro Orchid Potting Mix, contains Miracle-Gro continuous release plant food. 8 dry quarts, 8.8 liters. In reclosable zip lock bags.